This is a question my daughters ask me from time to time, and my first answer is always – ALIVE! I am just happy to be here and every day is a blessing, but what am I passionate about and what do I want to do when I am here and alive on the planet, well that is a very good question! Lunch at the edge of nowhere. What I really, truly want to do is explore and share my experiences with people. I want to write about travel. Technically that is what I am doing, but I don’t do it enough, and I don’t get paid for it – that would be a nice little perk. But I also want to spend time with my family and watch my girls grow and learn and explore as well and really enjoy life while we can. Not just go along with the rat race that ends up being our daily lives – day in and day out, doing the same thing over and over again. And because of that, Andrew and I are working on our “Year on the Road” plan. Also known as: The Gap Year. The Sabbatical. The “I need to take this trip or I need to move out of the country” trip. (We are still working out names). I believe it is important for everyone to leave the city that they grew up in for a little while, see new things, find some adventures and take some risks. My big trip was traveling through Europe after college graduation (that was a long time ago), this was one of the best and most memorable trips of my entire life – maybe that is because I met my husband, my soul mate, my best friend, and the person I love more than anything, on that trip! And he also loves to travel and explore and can use a little break from reality for a bit. That’s the selfish part, we have Wanderlust and we want to see the world – or our entire country to start. We have talked about taking big trips like this a few times in our lives, but one thing or another keeps getting in our way, so this time, we are going for it! We also want to connect with our kids and give them an experience of a lifetime, we are not getting any younger and this world is going crazy, everyone is on devices all the time, connected to a screen, we have ADD, we are always trying to multi-tasking – it is craziness! We need to slow down and stop to breathe. We want to see the trees, hear the birds, smell the flowers, get out and SEE OUR WORLD. I know this will be an amazing, educational experience for our kids, we will learn so much while we are out there – more than they learn in the classroom. We will be learning in all aspects of our life on the road. And this will be something that they will always remember – and possibly the theme of their college essays or conversations with their future therapists. Either way, it will be time together as a family. We understand that this trip is entirely possible and at the same time understand that there will be some challenges. We know that a lot of people think we are crazy (which is part of the reason we want to do it). We know there will be bumps along the road, but this is our goal: Our family of four will take 9-12 months, starting the summer of 2015 (exact dates TBD), living out of our truck camper traveling around the US & Canada, we would love to travel and explore with family and friends all over the country. 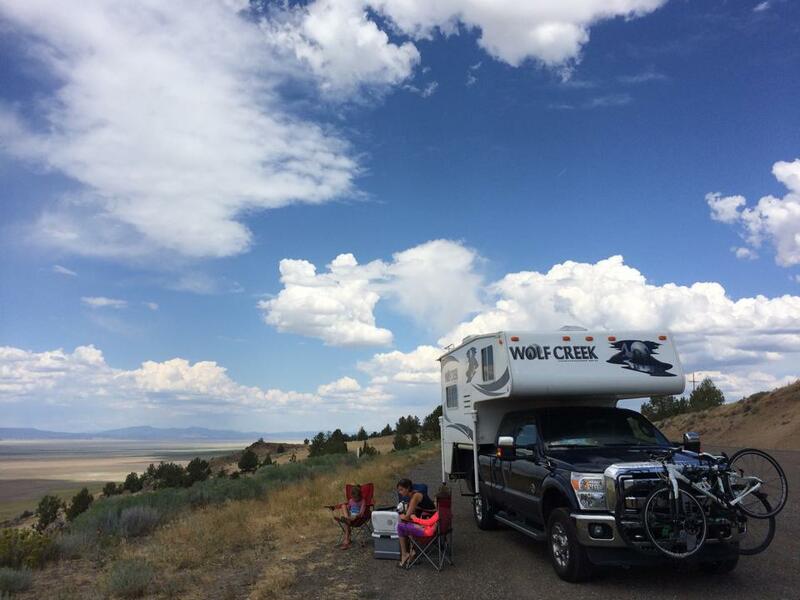 We invite anyone to come and travel with us, maybe we will come and camp in your driveway – Danny, Debbie, Houser Cousins. We would love to travel with you on your breaks – Skiing over Spring Break anyone? Let’s plan it. We are going to start mapping out our plan and we would love for Family and Friends to be part of that plan! This is our goal and we are working towards it. This is my way of becoming a travel journalist. Starting in my 40th year (or 41st – however you look at it) I am going to start writing about it. Please follow my blog, and keep us accountable. I will do my best to post at least once a week about what type of progress we are making towards our goal of living on the road. Thank You Friends! I have had a wonderful birthday weekend and I am looking forward to many more amazing days ahead! This entry was posted in Family, family trips, One Year Trip, travel, work life balance and tagged family, Family Vacations, Kids, Life on the Road, One Year Trip, Road Schooling, The Gap Year, The Sabbatical, travel, Wanderlust, work life balance by kathygorohoff. Bookmark the permalink.